Description: Paneltech’s 360P Paint Grade MDO is a premium paintable overlay designed specifically to provide the ultimate in surface smoothness over a hardwood face. 360P is designed for applications that require an ultra-smooth surface, for use with hardwood veneers or sanded surfaces. The overlay is saturated with petroleum-free phenolic resins derived from organic materials. 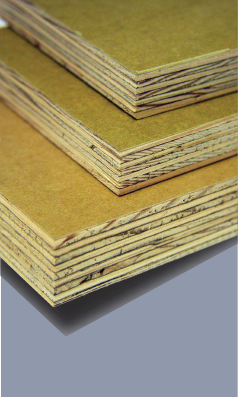 When applied to a panel, 360P provides a smooth, high-masking overlay with enhanced paint adhesion characteristics for plywood, OSB, particleboard, MDF and a variety of composites. It also has good machineability for decorative applications. As with other Paneltech MDO products, 360P has a proprietary glue line formulation that gives it strong adhesive properties when bonding to all commonly used substrates. MDO 360P exceeds the requirements of the PS 1-09 Voluntary Product Standard.